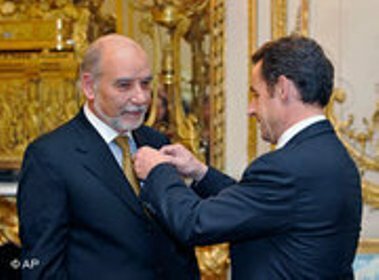 Moroccan writer Tahar Ben Jelloun was rewarded the Enrich Maria Remarque Peace Prize for his work that promotes peaceful coexistence between Christian and Muslim cultures, announced on Tuesday his French editor Gallimard. The jury has chosen Tahar Ben Jelloun for his work which “promotes the peaceful coexistence bteween Christian and Muslim cultures, especially through his last essay about the Arab Spring,” said the jury’s head Claus Rollinger. The peace prize, to be handed to Ben Jelloun on the September 16 at the Osnabruck hotel (northern Germany), recognises literary, journalistic or scientific works concerned with the themes of “inner and outer peace”. It is presented every 2 years and was first awarded in 1991.